Sport - Audiobook | Listen Instantly! Eleven-year-old Sport Rocque is living a happy life, keeping his father?s absentmindedness under control, and managing the family budget. When Kate, Sport?s new?and nice?stepmother enters the picture, things couldn?t be better. Then comes the news: Sport?s wealthy grandfather has just died and Sport is a multimillionaire. But millions of dollars equals millions of problems, as Sport soon discovers when his mother returns and kidnaps him to double her share of the inheritance! Life at the Plaza Hotel is no fun when you?re a prisoner. Will Sport manage to return his life to normal? Meet Sport, Harriet’s best friend, in this hilarious companion to Harriet the Spy—now available in paperback! Louis Fitzhugh (1928–1974) was a children’s author and illustrator. She is best remembered for her Harriet the Spy books, which have been acclaimed as milestones of children’s literature. Anne Bobby has worked extensively in television and audiobook narration. Her acting credits include appearances on such television shows as Law & Order, As the World Turns, Mad About You, and Cop Rock. 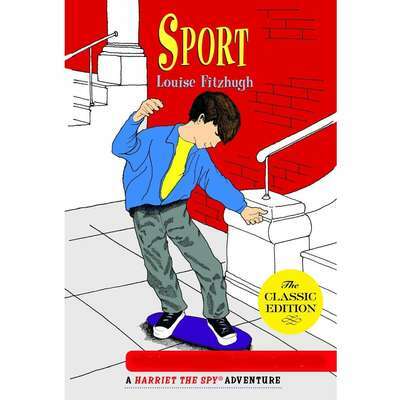 Among her narrations are the Katie Kazoo series by Nancy Krulik and the Harriet the Spy series by Louis Fitzhugh.